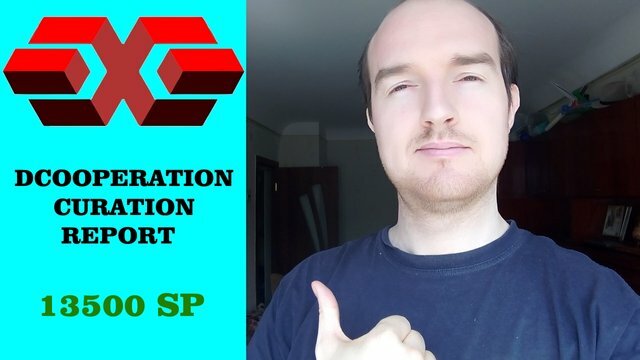 DCooperation curation report - 13,500 SP ! I'm @clixmoney the founder of @dcooperation. I'm delegating all my 4000 steem power to this account. I'm not upvoting myself. I never withdraw steem from this account and never powered down. All the earning from this account is going to power up the account. We have also 1505 SP earned from this account, and about 1000 steem power from non active steemians and those who are not asking for an upvote. Also @nathanmars is delegating to me 1000 SP and I'm upvoting all our delegators with it. So, about 7500 SP is distributed between other delegators. Those who are delegating less than 100 SP will get 1 upvote in 14 days, they can always claim for an upvote in our discord server. Those who are delegating 100 - 200 they will get 1 upvote a week, those who are delegating 200 - 300 will get 2 upvote a week, those who are delegating 300 - 400 will get 3 upvote a week, those who are delegating 400 - 500 will get 4 upvote a week, those who are delegating 600 and more will get 6 upvotes a week. So, the maximum amount of upvotes per week is 7, and to get that you have to delegate 700 SP or more, so you will be upvoted everyday. The upvote is always 100%, but some delegators will get sometimes even more if they are more active. Sometimes those who sent us videos, those who join us and those who will collaborate with us, will be upvoted. To check delegators visit this website : https://steemyy.com/delegators/ created by @justyy. 1- @cryptospa delegating 1119 steem power. He is not asking for upvotes, and just supporting our community. But he've got 4 upvotes this week. 2- @robertandrew delegating 605 steem power and getting 6 upvotes this week. 3- @calisthenicsdrop delegating 500 steem power and getting 5 upvotes this week. 4- @freecrypto delegating 400 steem power and getting 4 upvotes this week. 5- @steemflow delegating 400 steem power and getting 4 upvotes this week. 6- @behelen delegating 400 steem power and getting 4 upvotes this week. 6- @soufiani delegating 300 steem power and getting 3 upvotes this week. 7- @emsonic delegating 300 steem power and getting 3 upvotes this week. 8- @hafizullah delegating 300 steem power and getting 3 upvotes this week. 10- @rehan12 delegating 200 steem power and getting 2 upvotes this week. 12- @mamun123456 delegating 200 steem power and getting 2 upvotes this week. 13- @eftnow delegating 200 steem power and getting 2 upvotes this week. 13- @iamjadeline delegating 150 steem power and getting 1 upvotes this week. 14- @thecrytotrader delegating 101 steem power and getting 1 upvote this week. 15- @camuel delegating 100 steem power and getting 1 upvote this week. 16- @paulag delegating 100 steem power and getting 1 upvote this week. 17- @mrchef111 delegating 100 steem power and getting 1 upvote this week. 18- @jeronimorubio delegating 100 steem power and getting 2 upvote this week. That's because he participated in our show ''English It'' and he's helping us to practice English. 19- @clicked delegating 100 steem power and getting 1 upvote this week. 20- @ireenchew delegating 100 steem power and getting 1 upvote this week. 21- @dmilliz delegating 100 steem power and getting 1 upvote this week. 22- @ilazramusic delegating 100 steem power and and getting 1 upvote this week. 23- @romafedorov delegating 100 steem power and getting 1 upvotes this week. 24- @zekepickleman delegating 100 steem power and getting 1 upvote this week. 25- @certain delegating 100 steem power and getting 1 upvotes this week. 26- @hmetu delegating 100 steem power and getting 2 upvote this week. That's because she send a video for @dcooperation. 27- @jozef230 delegating 100 steem power and getting 1 upvote this week. If I missed anyone, please join our discord server and claim for an upvote in the channel called #claim-the-upvote , I do my best to make it fair. But not only our delegators are upvoted, but also some good creators like : @priyanarc who participated recently in our ''English It'' show. Also @eclipse369 participated in an interview and I upvoted them to support. Those who will participate in our collaborations will be upvoted sometimes as well. All steem earned from this post will go to power up the account. We always upvote with 100 % voting power and all the earning is going to power up the account. 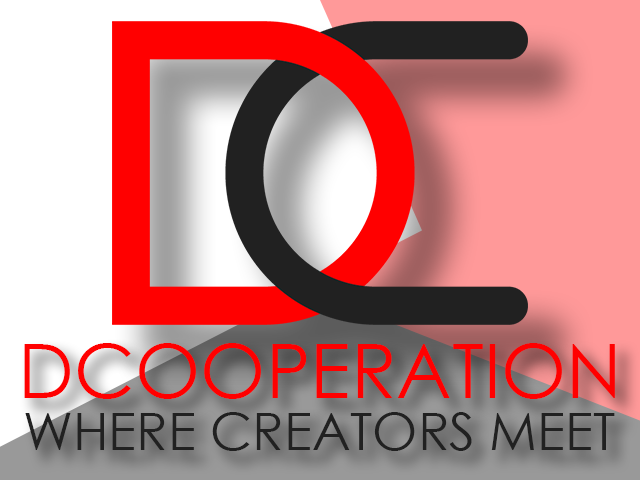 Thanks for supporting @dcooperation and believing in the idea of collaborations. Love your videos and being a part of this awesome movement. What a group of awesome steem leaders too. Thanks a lot for being a part of this. I always appreciate your "D" community for caring every related accounts and delegters. That’s great we are doing so well!